Last weekend I decided to relax and have a stay in the heart of Kuala Lumpur. You know, just chilling around and of course, make my son happy! He loves swimming! It was pretty last minute so I download this app called OYO. 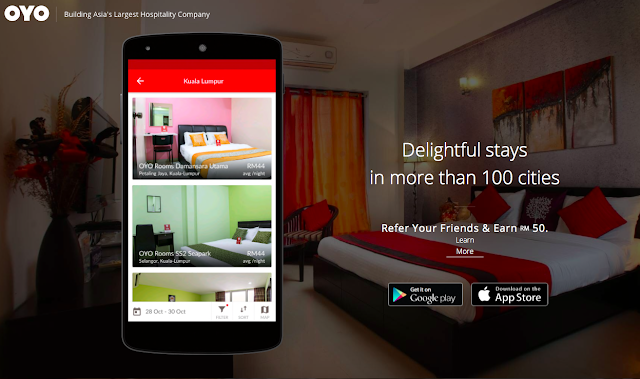 OYO is an app where help you to find affordable stays easily and hassle-free. 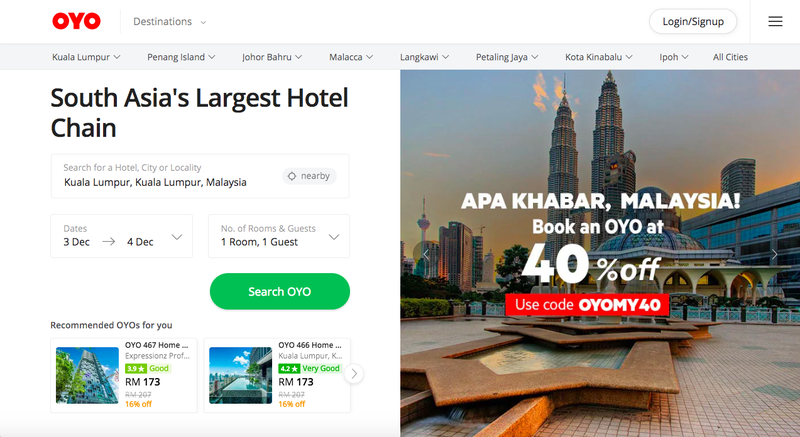 There are over 130 hotels across all major cities in Malaysia including Kuala Lumpur, Penang, Johor, Kelantan, Pahang, Malacca and more coming! OYO also guarantees every accommodation has air conditioning, a clean bathroom, free wifi, a television. 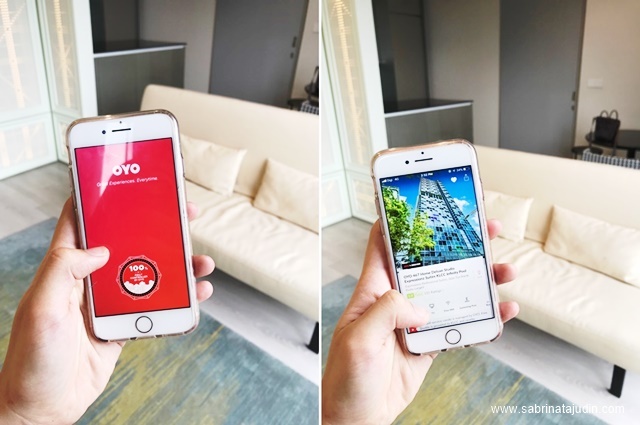 .I live in Selangor and wanted to have a stay in the middle of Kuala Lumpur, so I went into the app and search out for it. I found this place called Expressionz Professional Suite located in Jalan Tun Razak. Watch my video on how I made the booking and tour around the Expressionz Suite! So let's have a mini tour on the room! The room that I got is the Suite. About 300sqft in size that includes Kitchen, bathroom, living room & bedroom. I love the bedroom! It has nice large windows and a cabinet to store my clothes without a mess feeling. Clear window wardrobe for the luxury feels to it. I wish I have this back home, looks like a great handbag organizer shelves there haha. My son's favourite. The bathroom. It does not have a bathtub but it has this kinda like a "mini-pool". My son has not been procrastinating about bath time throughout the weekend! Haha! The bathroom is very simple and practical. i really love it. There is also a built-in ironing board but iron is not provided by the apartment yet. So you might need to bring your own iron on the trip. This is the sky lounge located on floor 41. The best chill area I have been. So peaceful & quite with a view of KLCC & KL Tower. The sky lounge view during the night. There is also a playground located near the swimming pool. But advise being only used by kids aged 5 and above. The slides are pretty high for my 2-year-old son. But not to worry, there is a safe playroom for toddlers too that can be used from 7am to 10pm for all residence with the acess card. Water is not provided by the apartment but you may buy yourself some snacks at the lobby via a vending machine. Download the OYO app today! Amazing offers and hassle free booking.